Friday FAQs: My fave julienne peeler and spiralizer, quick dinner ideas, packable lunches, and more! Last weekend I ended up coming down with Adriana’s cold (my immune system is simply non-existent during pregnancy…anyone else?! ), so this week has been all about recovering, eating tons of healthy food, taking a break from workouts, and trying to rest as much as possible. I’m looking forward to feeling back to normal, and enjoying the weekend (poolside, with any luck). I hope you have a great one in store, too! Q1. I made your Speedy Veggie Noodle Bowl for lunch this week and it was very good! This was the first time I ever had soba noodles. My only issue I had was julienning the carrots. Is there an easy way to do this? A. Hey Tonya, My favourite way to julienne carrots and other veggies like zucchini is with a spiralizer! I use this one by World Paderno Cuisine. Another tool I’ve had success with is this Kuhn Rikon Julienne Peeler. It takes up less counter (or cupboard) real estate, but it’s not quite as fast as using a spiralizer. When I only need to julienne a single carrot, I’ll reach for the peeler, but when I have a bigger job to do I always prefer the spiralizer. Q2. Hi Angela, I wonder if you can answer a question for me please? I have made many of your fab recipes and own your cookbook. Often you state 2 tablespoons of chili powder in your recipes (such as chili). I live in England and such a quantity would make the food inedible! This is no problem as I just adjust accordingly. I wonder if your chili powder is much milder than ours or something totally different? A. Hi Shiri, You’re right; there’s definitely a difference between the products we’re each respectively talking about. In North America, chili powder typically refers to the blend of spices, usually cayenne, cumin, garlic powder, paprika, and oregano, traditionally used to season chili—as in, the dish. Chili-as-in-the-dish powder has got some kick to it (more or less, depending on the blend), but it isn’t hot; it’s much milder than chili powder—that is, chili-as-in-the-pepper powder (or sometimes chile powder, with an e, or what I refer to as “cayenne powder or cayenne pepper”) that consists only of pure, ground dried chili peppers. The latter is what I suspect you may be more used to having in your kitchen (as many of my readers in other countries possibly are, too! ), and it packs a lot more heat. So yes, I can imagine 2 tablespoons of chili (pepper) powder would be quite a lot! I would recommend making a chili powder blend at home—it’s so easy! A. Thank you for the kind words, Juliana! The thing about most homemade vegan snacks is that, because there aren’t really any preservatives in them, for most recipes it’s best if they can be kept refrigerated. Even foods that don’t necessarily need to be kept cold short term should be placed in the fridge or freezer if they’re not going to be consumed within a few days—especially in the hot summer weather. (Food poisoning would definitely put a damper on the camp experience!) Depending on how long you’ll be away (if it’ll be, let’s say, just a week or so), you might find some helpful suggestions in this previous Friday FAQ (see question number three). But, since you don’t have a fridge, I think your best bet is to stock up on store-bought snack items (such as energy bars and roasted chickpeas)—they’ll be a lot less perishable. 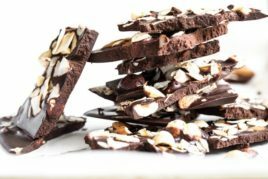 Dried fruit, either store-bought or homemade, is another great option for you. I hope this helps a little, and wish you a great time at camp!! Q4. Hi, Angela! I have a question for next week. I just started a demanding job, and I’m feeling uninspired with cooking lately because of it. Do you have any ideas for lunches to pack for work and quick dinners I can make during the workweek? Thank you! A. Hey Sarah, Congratulations on the new job! A busy workweek can definitely take its toll when it comes finding cooking motivation. I think a delicious repertoire of quick and easy dinners that leave enough leftovers (and pack well enough) that you can bring them for lunches the next day (or, even better, the next couple days!) are going to be your new best friends. To start off, I’d recommend my Glowing Spiced Lentil Soup, Favourite Vegan Chili, Quick & Easy Chana Masala (The Oh She Glows Cookbook p. 163), and Luxurious Tomato-Basil Pasta (p. 181) or Quick and Easy Creamy Tomato Mushroom Pasta. These dishes all come together so fast, make multiple servings, and are just the perfect comfort foods after a long day. Veggie and noodle bowls are going to be another great option for you, too. They’re so easy to put together, and work well for both lunches and dinners! Try my DIY Burrito Bowl, Speedy Veggie Noodle Bowl with Homemade Teriyaki Sauce, Enlightened Miso Power Bowl (p. 177), or Protein Power Goddess Bowl (also in The Oh She Glows Cookbook, p. 175). Last but not least, I find hearty salads always make wonderful and easy-to-pack lunches. They’re one of my favourite go-tos. I’d suggest my Cumin Lime Black Bean and Quinoa Salad (which I also like to jazz up as a Feel Good Lunch Bowl), and Chickpea Salad. If you have time on the weekends, you could also make some big-batch, freezer-friendly recipes that can be stored well as single-serving portions, such as my Next Level Vegan Enchiladas and Perfect Veggie Burgers. Then, all you have to do when you get home is pop them in the oven to reheat! Q5. Hi Angela, I’m wondering if Oh She Glows Every Day will be available in the UK? A. Hi Helen, I’m happy to say that yes, it will be published in the UK, but unfortunately I’m not sure of the exact date yet (last I heard, possibly early 2017). If you don’t want to wait that long, you can purchase through an international retailer, such as The Book Depository (they have free worldwide shipping). Hope this helps! I can’t tell you how much I appreciate your heartfelt words, Julia! And I’m beyond touched you included me on a list of so many truly inspirational bloggers that I, myself, admire. Your blog is beautiful, and I can’t wait to read more. 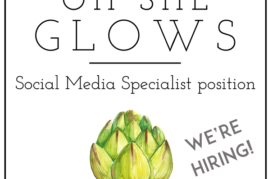 Oh She Glows is hiring! Hi Angela. I love reading all of your posts and trying your recipes. Can hardly wait for your new cookbook! Can I make a suggestion regarding your Friday FAQ posts? Maybe it is just my older eyes, but I find the links in lime green really hard to see because they are so faint compared to the regular text. I was wondering if you would consider changing them to a darker, more easily seen colour: maybe purple or something like that. Just a thought. Hope you are feeling better after your cold. Thank you so much for featuring my comment as the comment of the week! I was so excited to see this! I truly meant every word I said and am such a huge fan of your site. It’s been a favorite of mine for a long time so I of course had to include you on my list! Thanks again!! Oh, I’m so glad you saw it! :) Thanks again for your sweet comment and feature, Julia. I bought the Paderno a couple of years back when you mentioned it on your blog. It has held up very well, and aside from needing to wipe of the colorful veggie stains so it doesn’t stain (I know, very OCD-ish) it’s fantastic. We’ve done yellow and green zucchini “noodles,” apple slices for fritters, beet chips, potato/sweet potato chips, and on and on…Angela, thank you for your kitchen recommendations! Anyways, you’ll get through it :) love everything you do! So good to know I’m not alone, Lee Ann! Glad I’m not the only one! I guess it’s normal for the body’s immune system to lower during pregnancy so it doesn’t fight of the baby…makes sense, but I look forward to a stronger immune system post-labour. Definitely just put that julienne peeler on my registry! Now the question is…can I stand to wait for ti?! Lol! Ha ha! I got a good laugh at that one. That was so me when I got married. Hi Angela! I’m so excited for your new cookbook. I absolutely love your new app, and I’ve tried so many new recipes of yours because of it (I bought it for $0.99; score!). I look forward to Friday FAQs each week and I’ve got some valuable info from it. Thank you so much for your vegetable-fruit inspiration (my favorite food group by far!). I also just read the new Canadian Living issue, with you featured in the back! Congrats! Hey Amanda, Thank you so much for the kind words! I’m so happy you’re enjoying everything so much! I totally forgot about the Canadian Living feature, so thanks for the reminder. Do you know what issue it is? The feature is in the August 2016 issue. Thanks for the reply. Fangirling super hard here? Sorry! Correction: the feature is in the September issue! OMG! I’m in Australia and love your cookbook but my mum and I have always wondered why your recipes asked for so much chilli powder! It all makes sense now haha! I’m an athlete who is also vegan and was wondering if you could recommend some good meal or snack ideas for me. It is hard sometimes to find vegan foods that are both nutrient AND calorically dense because I do tend to prefer eating healthier. Thank you so much! Hi Angela! I’m a huge fan of your recipes, work, and all that you do – also a longtime reader, love seeing your transformation and growth as a blogger, business mama and person – such an inspiration! Quick question for you about your world famous glo bars :) Is there something I can sub for the rice crisp cereal that isn’t another crisp cereal? 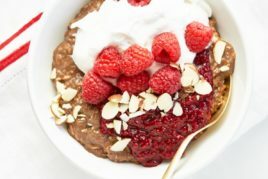 I was thinking of just using more oats… Let me know your thoughts! Thanks so much! Hey Jess, Aw thanks for your kind words! :) I would be inclined to sub the rice crisp with chopped toasted nuts, or a mix of nuts and oats. I’d worry they might be too “oaty” if you add in all oats to swap the crisp, but I haven’t tried that yet so not positive. The added nuts would give them more crunch. I appreciate that you usually use maple syrup in your recipes. Just to compare, I looked at the nutritional breakdown of both honey and maple syrup and found maple syrup to be quite a bit more healthful than honey. I also find that maple syrup is a more subtle tasting sweetener than honey which I find a little cloying sometimes. Not to disparage honey but I am trying to find out more about what I am eating and what foods hold the most nutrition. Hi Angela, hope you are feeling better! Just wanted to let you know how much I enjoy these Friday FAQs posts, the Q&A section is always very useful (the one on the chili powder was eye-opening, where I live chili powder is ground up chili pepper, but now I see why you would use such a big quantity of your kind of spice! ;-). I’ll definitely mix up a batch of that kind of spice mix. I also wanted to ask about your app: sadly I have an Android phone and was wondering if you could say anything about when an Android version might be done, I would love to have your recipes on my phone. To Sarah who posted the question about lunches: have you seen Angela’s amazing make-ahead 5 day vegan lunch mealplan? This was a HUGE source of inspiration to me when first starting out with plant-based meals, and figuring out how to balance my time. She lists all the ingredients, prep time, and meal suggestions for an entire week’s worth of lunches. For dinners, I will also throw in that her 15 Minute Avocado Pasta is to die for, and the Protein Power Goddess Bowl (that Angela mentioned in your response) is one of my favorites. Congrats and good luck! Some great suggestions for cooking during the work week! It’s very hard to get inspired when you’re running around with a million things to do. Make ahead, easy meals are a lifesaver! I’m a big fan of yours.. your recipes always inspire me! I bought you cookbook last summer and it got me out of a major cooking slump and I already have OSG 2 on pre-order! I can’t wait!!! Quick question: what other sweetener would you recommend to use in your Glo Bars? I’ve had a hard time finding brown rice syrup and I’ve used maple syrup but it doesn’t seem to hold them together as well. Hello! We have had your cookbook for the past year and it is absolutely my favourite cookbook. We would love to make the Grilled Portobello Burger with sun-dried tomato kale-hemp pesto, but my sister gets migraines from balsamic vinegar (or vinegar in general). Is there a substitute you would recommend? Hi Angela. 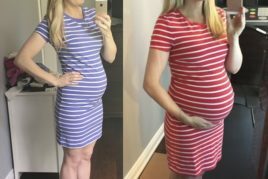 I recently started taking the Baby and Me prenatal from Mega Food. It’s a great vitamin but the iron in it is extremely constipating for me as I’m already prone to constipation. Do you have any tips? Hi Angela, I am 8 weeks pregnant and have thoroughly enjoyed your baby bump series (both times!). Unfortunately it has been difficult to feel completely overjoyed about the pregnancy because morning sickness has taken center stage. I know you dealt with it, as well, so was wondering if you could recommend some of your “go-to” foods/recipes that were tolerable for your tummy. I know everyone is different but I’m not craving anything right now and am so open to suggestions! Thanks so much!! I am a Long time follower who is so excited for book two!! I have been making the wheatgrass smoothie all summer but I cannot find the frozen juice in my Whole Foods. I have been using fresh wheatgrass but I am unsure of the proportions. Do you think powder woould be better? I have no trouble mixing it in my Vitamix, I just want to be sure that I am using enough fresh wheatgrass to enjoy its benefits! Thank you! Yeah, my wife had the same problem when she was pregnant. Her immune system was also basically non existent. What we did was loaded her up on spices like garlic and oregano. Then had her take in green shakes with spirulina. Then on top of that she would take in apple cider vinegar, she used the Braggs brand. All that stuff combined really worked well for her. At the time I’m reading this you must be better and I see you just gave birth. But, keep this in mind for next time if you have a next time that is. Not that this is in any way relevant to this post, but I’ve just made your Chocolate Dreams Protein Smoothie Bowl from OSG Everyday (well actually, added more liquid and drank it like a smoothie) and I’m in love! It’s funny how just a few years ago I dissed all protein powders and though they were weird and I didn’t imagine how one could even eat them. Now I see how wrong I was (probably because at that time I’ve never actually blended them into delicious smoothies, heh). 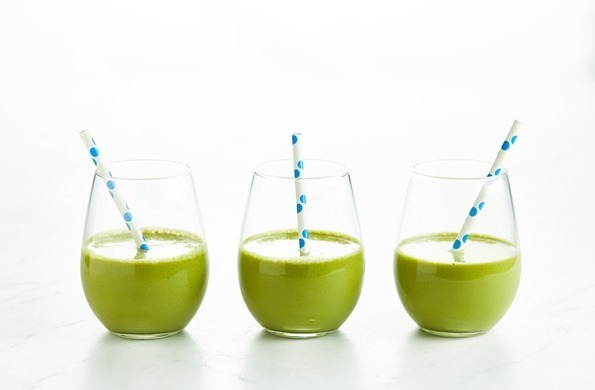 Anyway, the avocado in this recipe adds that wonderful, pudding-like texture and this blend is just sooo good. I bet I’ll be craving it every single morning for at least a week now! Thanks so much for taking the time to leave this great note, Maja! I’m so happy you’re loving that smoothie bowl—it’s one of my faves. Chocolate for breakfast? Yes, please!